Bishops Waltham Palace was founded in 1136 by Bishop Henri de Blois. The palace was used by the Bishop of Winchester as he travelled through diocese. And it was here he would be host to many Royal visitors. The palace was also used by Henry V to prepare for the Battle of Agincourt. Also Mary Tudor stayed at the palace while she waited for her future husband King Philip to arrive from Spain. They then travelled from there to Winchester Cathedral where they were married. The palace was eventually destroyed on the orders of Cromwell in 1644. However much of the substantial ruins remain. Our investigation of the palace lasted 3 hours. 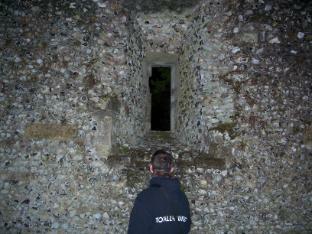 We had no activity during our investigation there.